Flip-Open Kids Sofa Just $34.99! Down From $50! PLUS FREE Shipping! 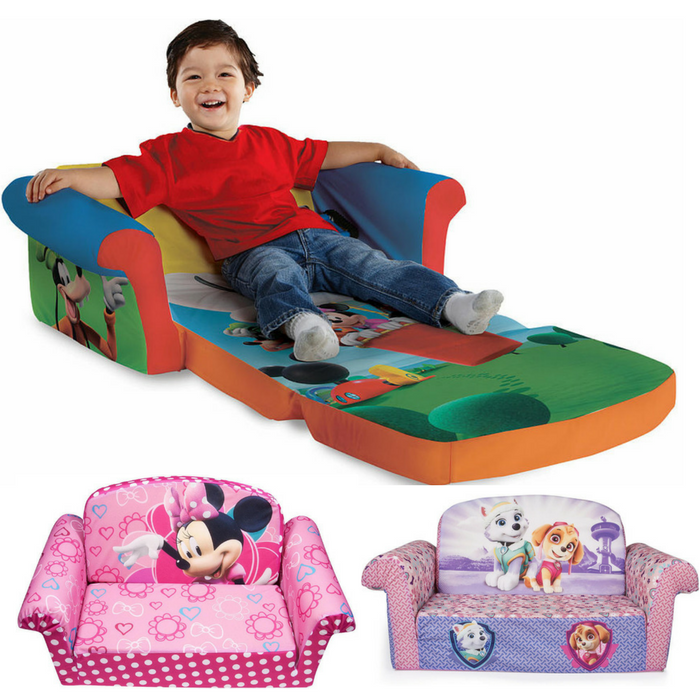 You are here: Home / Instagram / Flip-Open Kids Sofa Just $34.99! Down From $50! PLUS FREE Shipping! Head over to Toys R Us where you can score this Flip-Open Kids Sofa for just $34.99 down from $49.99 PLUS FREE shipping! Educational toys, board games and books are the highlights of your playroom, but a nice piece of furniture would really tie the place together. Look no further than these Flip-Open Kids Sofa. This soft, plush, child-size sofa provides a comfortable place to sit down and rest between exciting activities and folds out to reveal a relaxing lounger that’s perfect for floor play or some quick shut-eye until it’s time for more imaginative adventures.